On the last day of the Congress we had the opportunity to accompany delegates on field trips. 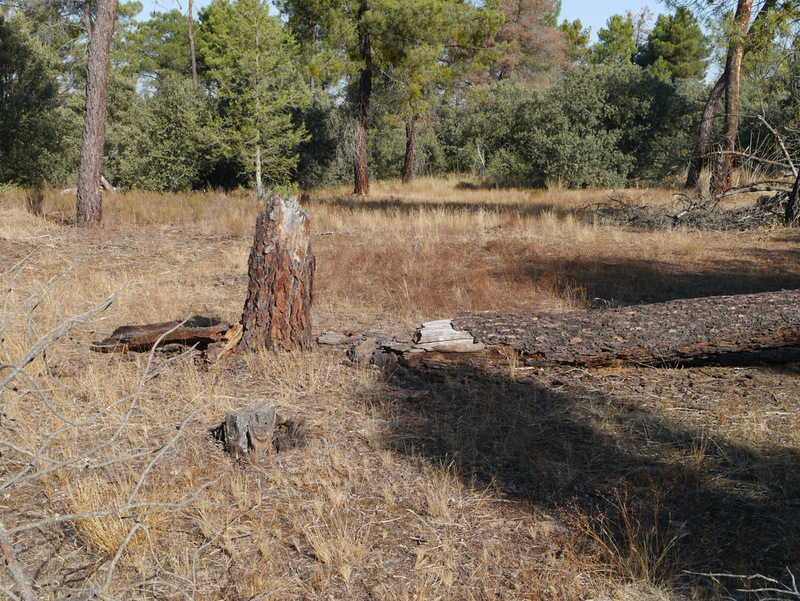 The first was to see some Pinus pinaster (resin pines – native to the Mediterranean) that have been suffering from a collar root fungus. Cristina Prieto has been studying this in great detail and shared some of her investigative work with us. Unfortunately, because this is not a commercial pine species, funding for further research is difficult to source. It was very poignant to stand under the remaining pines. 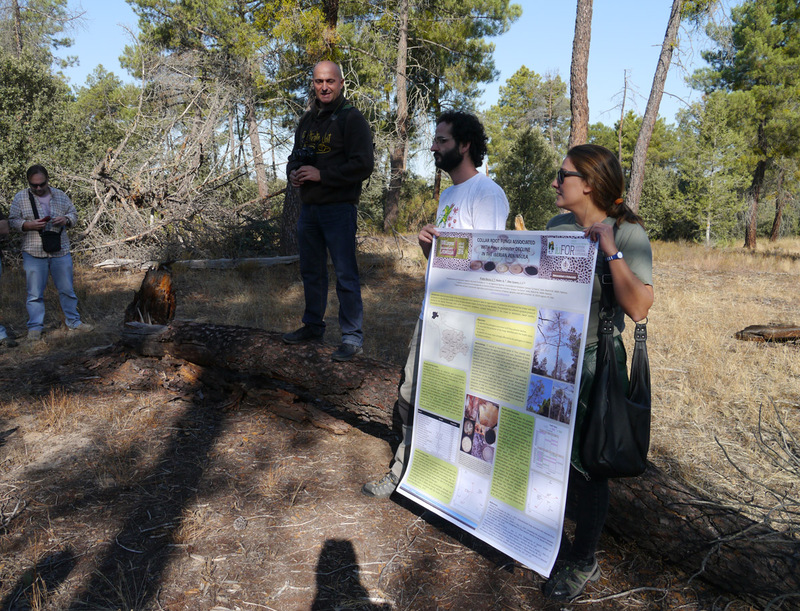 Cristina holds up her poster with Pablo to explain more about the fungus after Julio’s overview of the decline of the resin pines. Resin pines, live and dead. 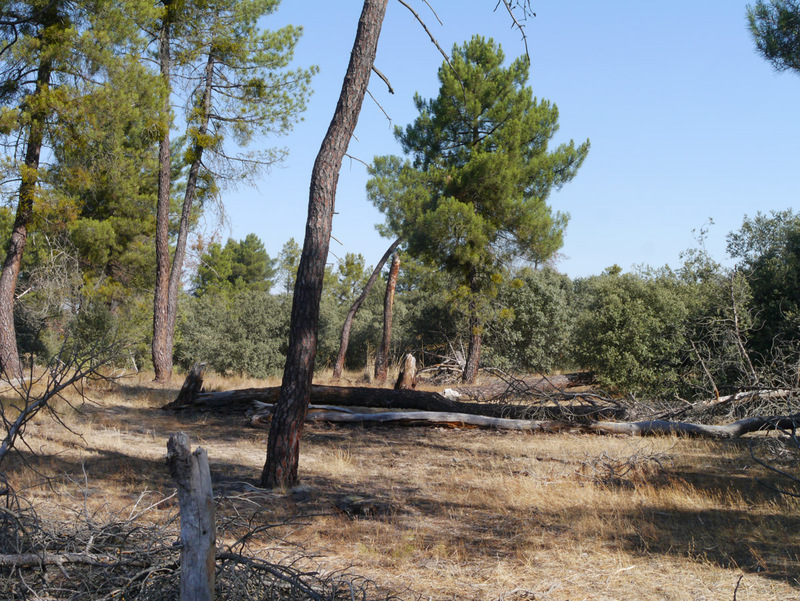 Many pines have succumbed; dry weather increases stress and mortality. 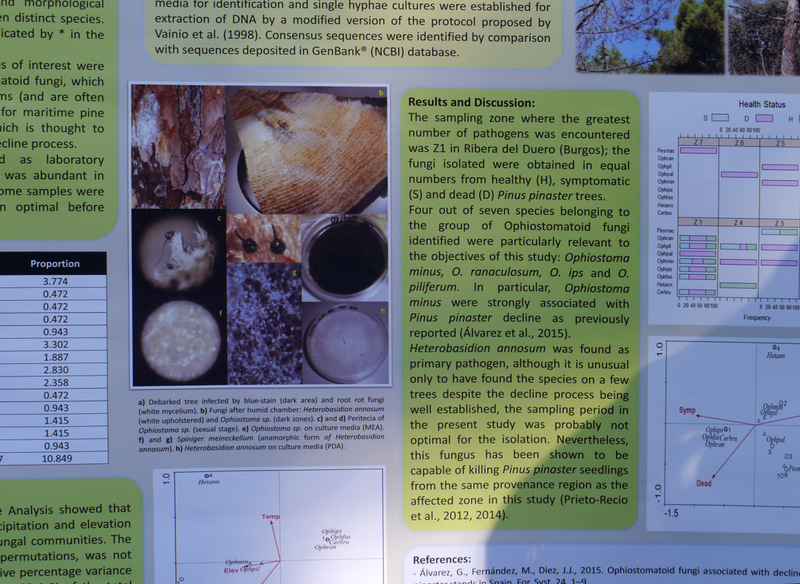 A closeup of a portion of Cristina’s poster. 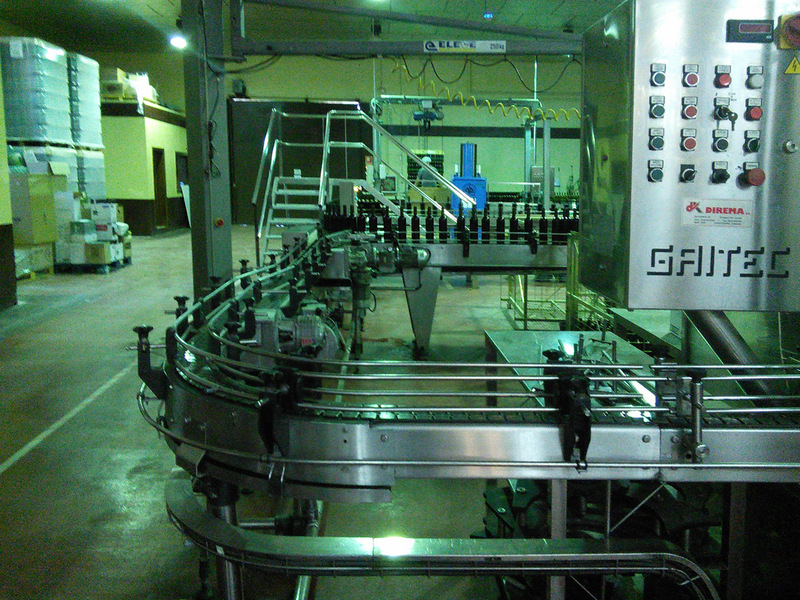 We also visited a vineyard that produces grapes for the PradoRey winery in the Ribera del Duero region. Their technician showed us the damage caused by a insect that bores holes in the vine stalks. Because of its erratic nature and nocturnal activity, it’s difficult to treat. The vineyard’s technician briefs the plant pathologists on the situation. The vineyard’s technician indicates an affected section of vine. A hole bored in the vine stalk. Some of the tempranillo grapes are withering. One of the plant pathologists has some ideas about what’s affecting the vines. Next stop was a tour of the PradoRey winery where we learned about their production process, including the aging of wines in oak barrels, mechanical vs hand harvesting, materials used, etc. The facility is immaculate. They produce their own olive oil which is as delicious as their wines. 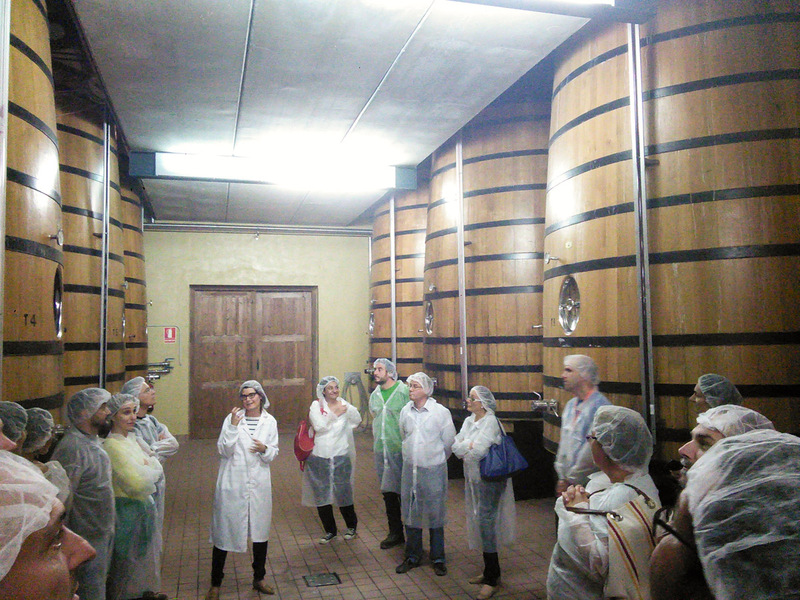 Our tour learns more about fermentation – an exciting topic for natural scientists! shows the bottling and crating in action. Our final destination was a lovely lunch at a small hotel-restaurant operated by PradoRey. La Posada Real de Sitio Ventosilla was built for the Castilian Royal Family in the early 17th century. It has a small number of rooms and a lovely, airy restaurant with super-friendly staff and excellent food – tasty and unpretentious. Later we learned that the painter Rubens visited the premises! We felt very lucky to be there. 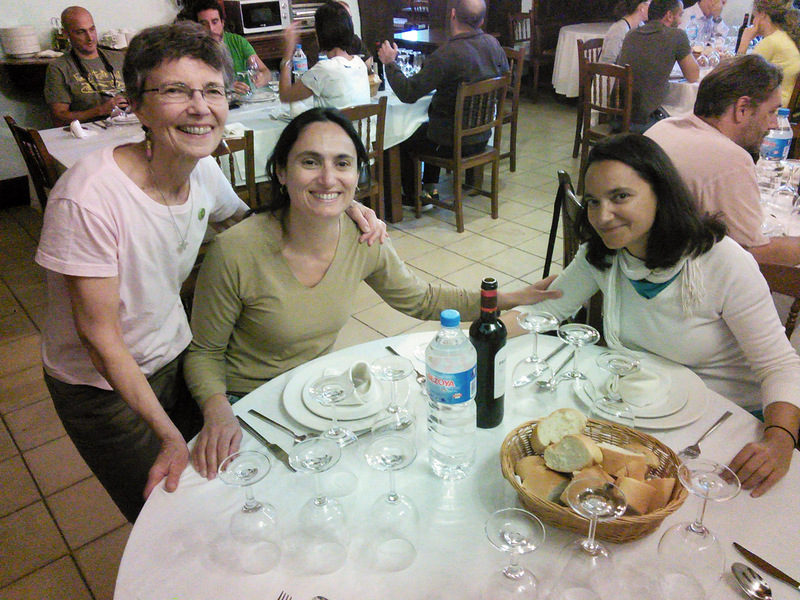 Claire with Celia and Belén at lunch. This entry was posted in España, SEF2016 and tagged climate, environment, Spain, Travel. Bookmark the permalink.